A solar wind stream flowing from the indicated coronal hole cold reach Earth on July 10-11. Credit: SDO/AIA. 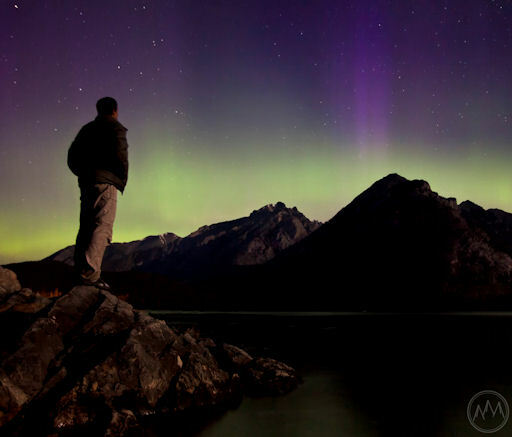 "Yet another sleepless night at Lake Minnewanka--and it was worth it," says Zizka. "The aurora danced on and off for hours. Most of the time it was barely visible to the naked eye, but now and then Mother Nature would put on a show that was hard to miss. The displays ranged from a very interesting, long-lasting pink streak directly overhead to wild green curls and purple pillars to the north and east." The source of the display was not an explosion on the sun, but rather a fluctuation in the interplanetary magnetic field (IMF). On July 9th, the IMF near Earth tipped south, opening a crack in our planet's magnetosphere. Solar wind poured in and ignited the lights. Solar wind conditions remain favorable for high-latitude auroras on July 10th. NOAA forecasters estimate a 25% chance of polar geomagnetic storms. Aurora alerts: text, voice. "It looks like an expanse of land on the sun," says Viladrich. 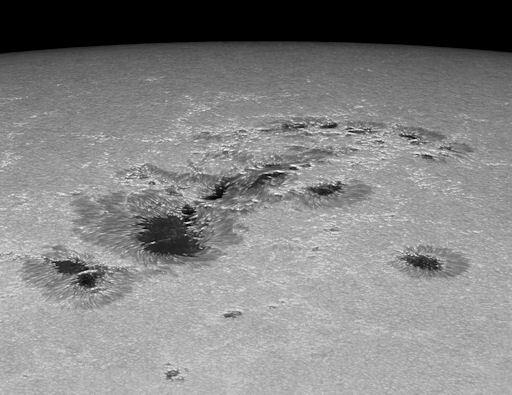 Despite the resemblance to land, however, the vast dark cores of sunspot AR1520 are not solid. They are made of magnetism. Each one is a magnetic island nearly as wide as Earth floating in a sea of solar plasma. The magnetic field of this enormous sunspot is tangled, and harbors energy for strong solar flares. NOAA forecasters estimate an 80% chance of M-flares and a 25% chance of X-flares during the next 24 hours. Solar flare alerts: text, voice. On July 10, 2012 there were potentially hazardous asteroids.